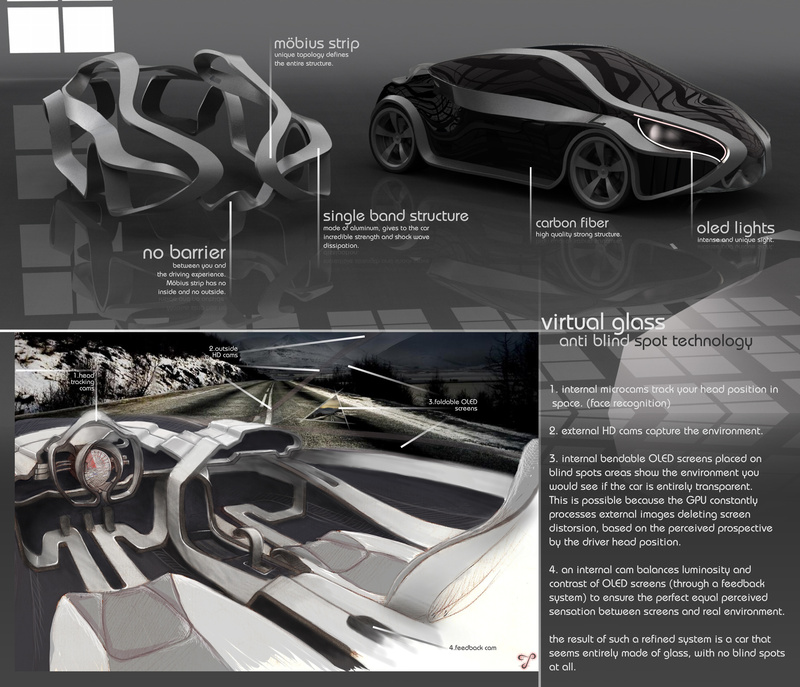 The project wants to merge aesthetic suggestion of math and geometry in an harmonic shape that receives you in its essential environment in which the extreme technological refinements reach such a care that becomes invisible. 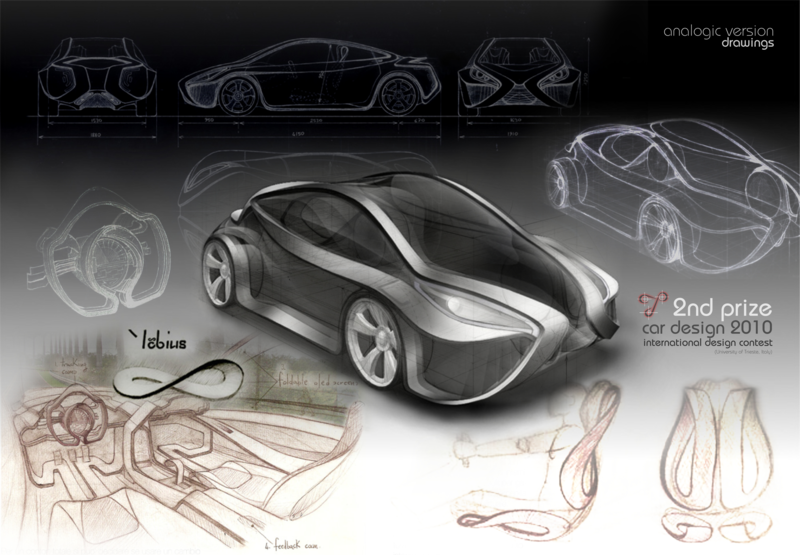 The car structure has the specific “Mobius strip” topology to conceptually unify interior and exterior, and an innovative hi-tech system avoids blind spots using a synergy of flexible OLED screens, head-tracking cams and HD external cams; it really unifies visually inside and outside. 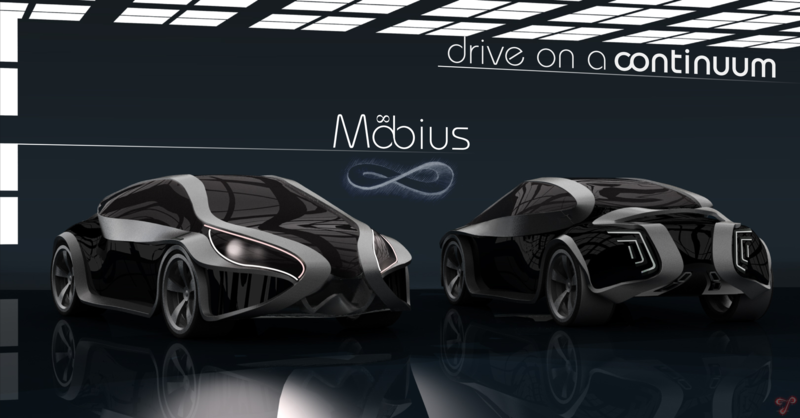 mobius car concept by Tommaso Gecchelin is licensed under a Creative Commons Attribution-NonCommercial-NoDerivs 3.0 Unported License. I like it. I think it may run into the same issues that the Karman Ghia ran into, one big piece instead of small replaceable ones makes it difficult for after collision body work. Can I just say what a relief to find an individual who truly knows what theyre talking about on a internet. You definitely know how to bring an trouble to light and make it important. Additional persons must read this and understand this side on the story. I cant believe youre not much more popular simply because you actually have the gift.